Natalie Cope is the CEO of the Australia China Business Council (NSW) where she is responsible for supporting member companies in their trade, investment and business engagement with China. Prior to her role with ACBC, Natalie was the Manager of Partnerships and Development at Asialink Business. Natalie was Australia’s 2015 Top Emerging Leader and MBA Scholar, receiving the 2015 Emerging Leaders MBA Scholarship by the University of Sydney Business School and The Australian Financial Review’s BOSS Magazine. She is the Ambassador of the Westpac Bi-Centennial Foundation and Asian Exchange Program. Natalie is a founding member and current Chair of the Australia-China Youth Dialogue. The goals of this high-profile and high-impact effort are to expand awareness and understanding, inform public and elite opinions, and recommend solid policy in Australia on the complexities, opportunities, and challenges of Australia’s relationship with China. This is a discrete and unique effort, different from other China undertakings in Australia in that it is independent, is not tied to any institution, and is focused exclusively from a policy perspective on China’s rise and how it matters to Australia. 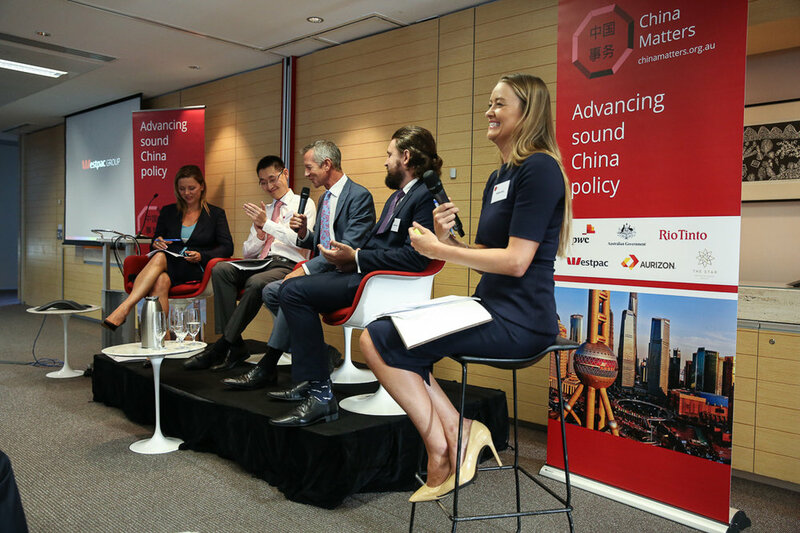 China Matters board directors, advisory council and team members regularly publish commentary in Australian media which can be viewed on our public outreach page. Read Founding Director Linda Jakobson’s essay “Time for a Plan B on living with China” in Disruptive Asia (Asia Society 2017). China Matters Young Professionals project engages with people interested in China under the age of 35 who are working in the public or private sector. We just hosted our second YP national meeting in August. We also strive to support young aspiring Australian foreign policy experts through our three month internship program. In March China Matters board director Professor Bates Gill and CEO Ms Linda Jakobson launched China Matters: Getting It Right for Australia, a book that explores Chinese politics, economics, and foreign relations today and their implications for Australia tomorrow.